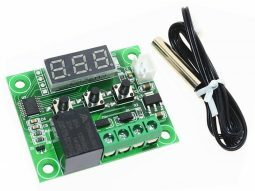 Medium Precision Temperature and Humidity Sensor DHT11 with 1-Wire Data Bus, for micro controller like Arduino, Raspberry, and others. 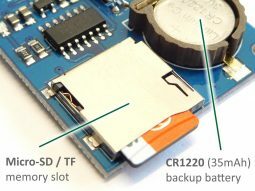 Aosong DHT11 is a calibrated, integrated humidity and temperature sensor, communicating to a micro controller over only 1 digital I/O pin. 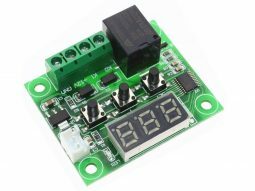 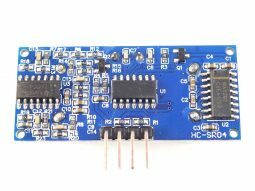 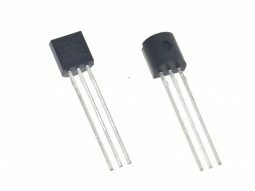 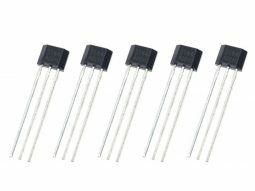 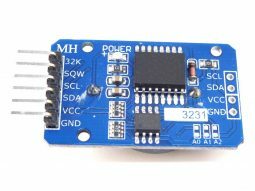 The sensor provides 16bit resolution, takes only about 0.3mA (0.06mA in standby), and needs a power supply in the range of 3.5 to 5.5V. 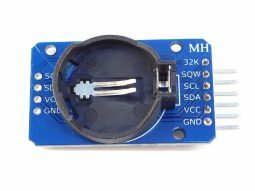 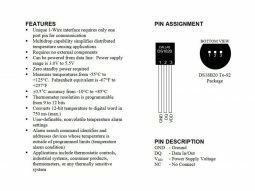 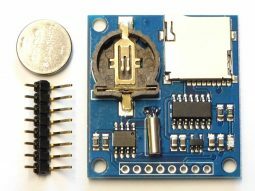 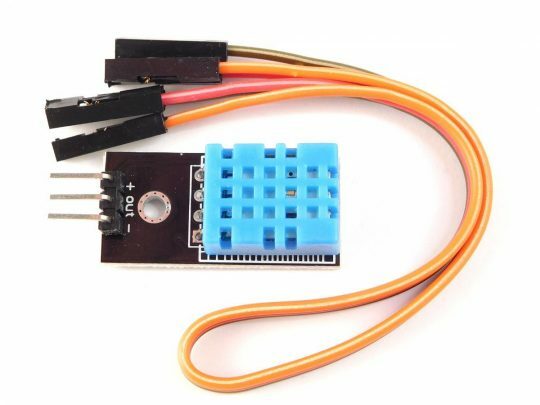 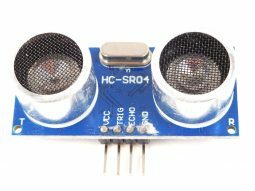 The sensor is very easy to connect, and a library and example code for Arduino is available following the download links below.